I know I’ll soon be complaining about how cold it is outside, but where is fall?? Seriously. 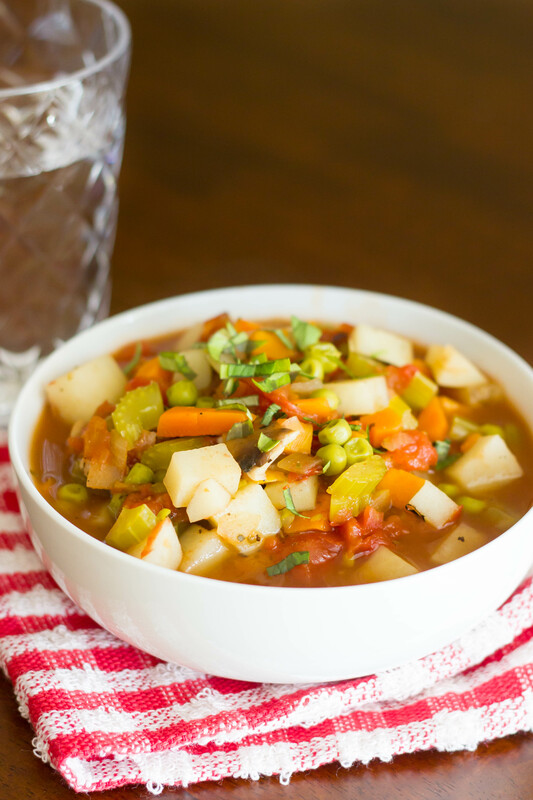 It was 92 degrees outside, but I made a big pot of soup anyway! I turned the air down so I could pretend it was fall ;). Not really but I probably should have! 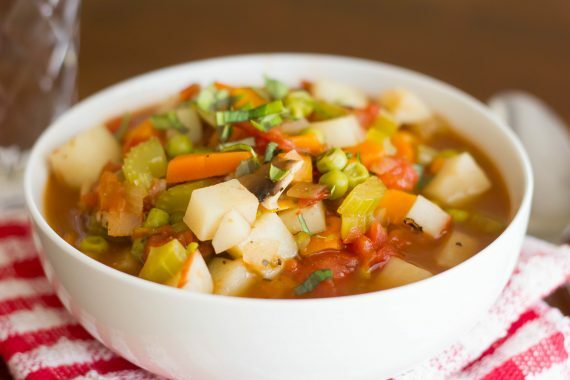 If you love classic vegetable soup, this recipe is for you. No frills, just straight up comfort food…for any temperature. Of course if you wanted to up the protein, just add some lean ground beef or turkey. I’ve started freezing the leftovers in individual serving bowls for those days you don’t feel like making dinner but don’t really want to eat junk. It works like a charm. I transfer the frozen soup to the fridge the night before to thaw and then it’s ready to heat when I get home from work. Healthy dinner for the win! =) Enjoy! 1. In large pot combine potato, celery, onion, mushrooms, chicken stock, tomatoes, tomato paste, oregano, salt, garlic powder, pepper, and red pepper flakes. Bring to a boil over medium high heat and cook for 10 minutes. 2. 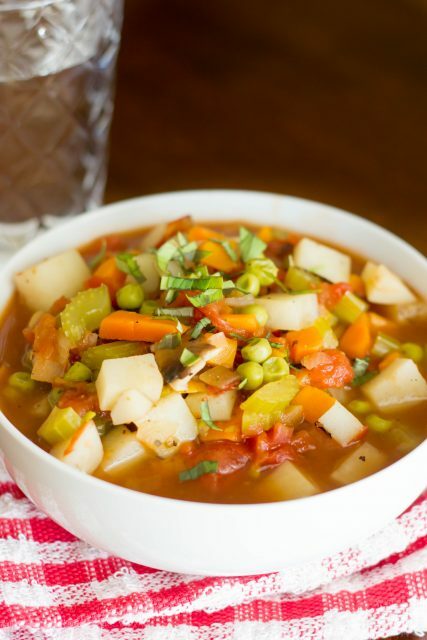 Add frozen peas and carrots and continue to boil until potatoes are tender. Adjust salt and pepper to taste. Serve with fresh basil and parmesan cheese.